ready … set … fight! 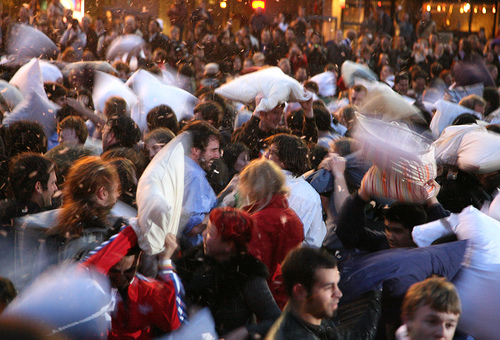 that’s right, boston … tomorrow, you cannot miss the opportunity to partake in the city’s very first public pillowfight! you heard me right … pillowfight! 4. Spread the word and bring your friends! so snag a pillow and have at it, kids! get GOSSIP OF THE DAY sent to your email!